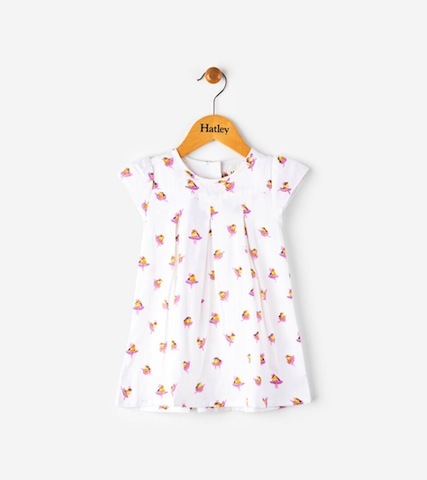 Twirling, dancing and crawling has never been cuter than in this mini dress with ballerina bird print. The perfect dress for all her special occasions! Features: Pleated 'A' line dress Buttons closure at back neck Fully lined dress Machine washable 100% cotton.